Mention Palais Renaissance and you'd probably picture "tai-tai central" or a place for the well-heeled. Well, it does have its premium brands and exclusive shops, but what's interesting for me is the revival going on in terms of restaurants there. As I found out, there are lovely lunches which are not only good for your gullet but won't put a dent in your wallet. We sussed out five eateries, new and old. There are more to come, with the basement becoming the hub for food. A pity Antoinette au Jardin is gone from there, but we have at least three new exciting restaurants near where it used to be. 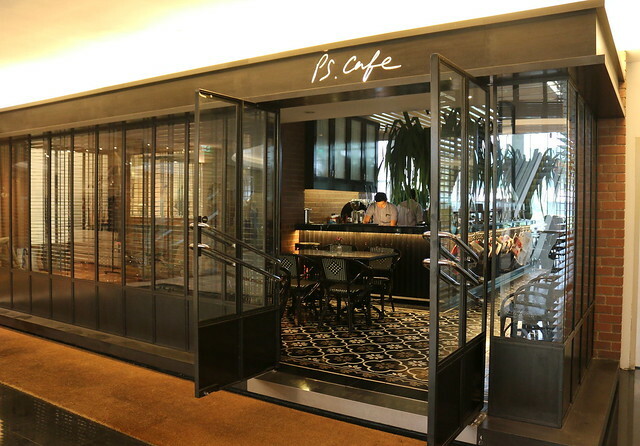 The focus at P.Bistro (photo above) is healthy food with premium ingredients. They started at Owen Road in their own building, where there were no rent concerns, so they could really splurge on quality produce and ingredients like French Castaing ducks and President butter. With that success, they are branching out with the same formula. But take a look at the a la carte menu too; there are highlights that made the bistro popular. This is such an extremely hearty portion, even I would have trouble finishing it. The beef slices are generously sliced, cooked just right and tender. 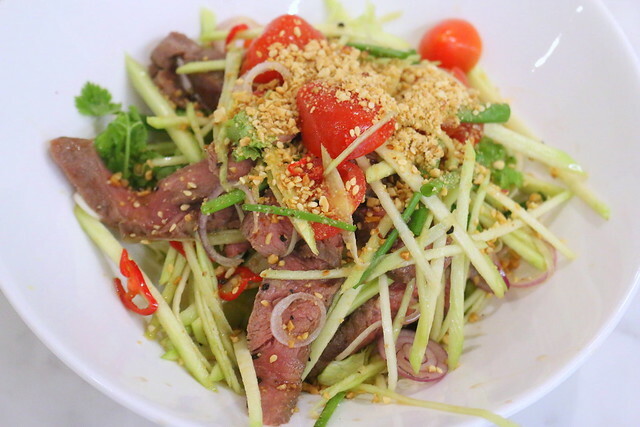 This huge colourful salad can easily stand as a main, or shared by two persons. 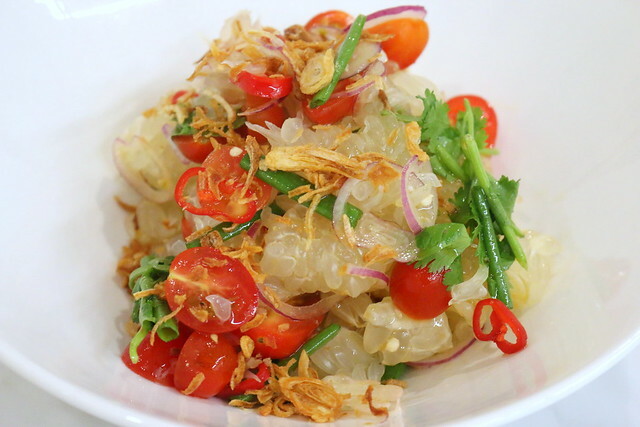 I was told the ladies prefer the Pomelo Salad (S$10) which is refreshingly tangy and fruity. Cherry tomatoes, chili slices, coriander and shallots plus a tamarind dressing make this incredibly appetising. 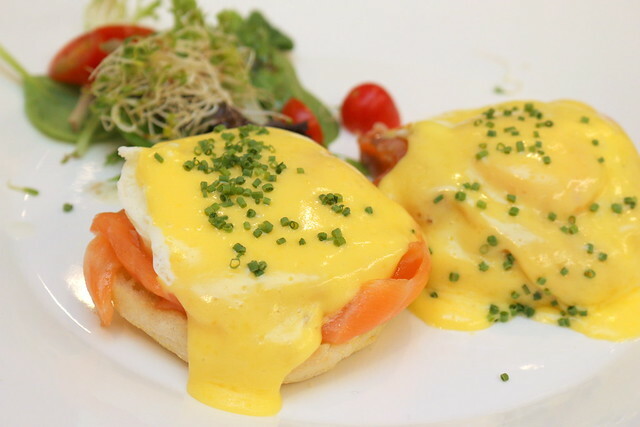 They do have all-day breakfast here, so feel free to come by anytime you have a hankering for breakfast favourites, like this Citrus Salmon Eggs Benedict (S$18). You get home-cured citrus salmon coddled by 62-degree free range eggs topped with Hollandaise and chives, on English muffins. Want something fuss-free and filling? 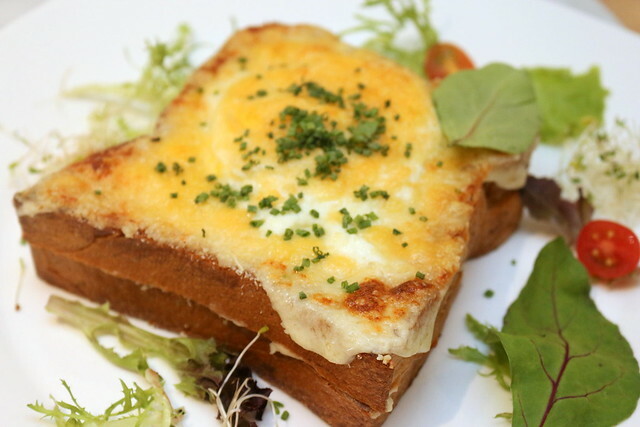 An over easy egg on farm toast with sliced honey baked ham and gruyere cheese, plus sauce Mornay will keep you happy til dinner time. 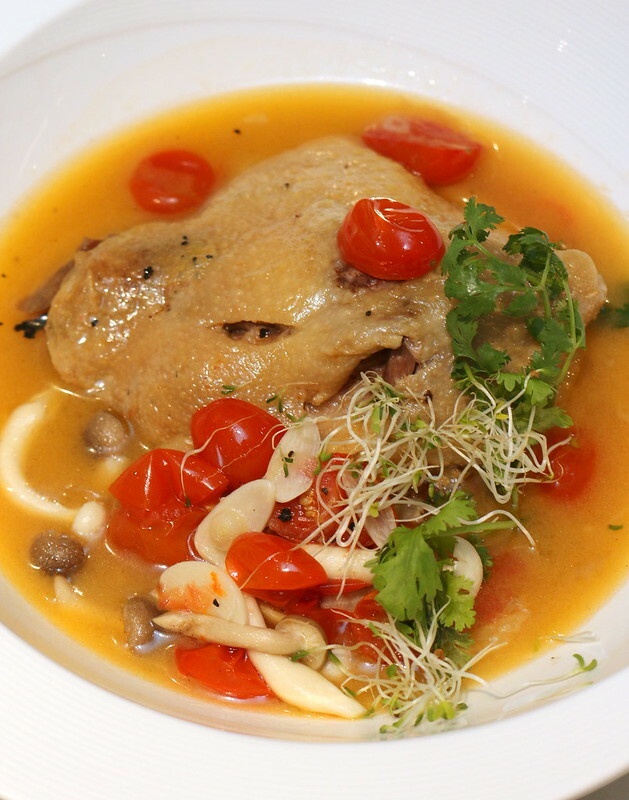 For a splurge though, their signature P.Bistro Special Duck Leg Stew (S$28) is a warm bowl of comfort. It's a whole French duck leg that is lightly braised and stewed 2-3hrs in a rich stock made from chicken bones and seasonal vegetables. It's almost a fusion soup like a Peranakan duck soup but with French ingredients. 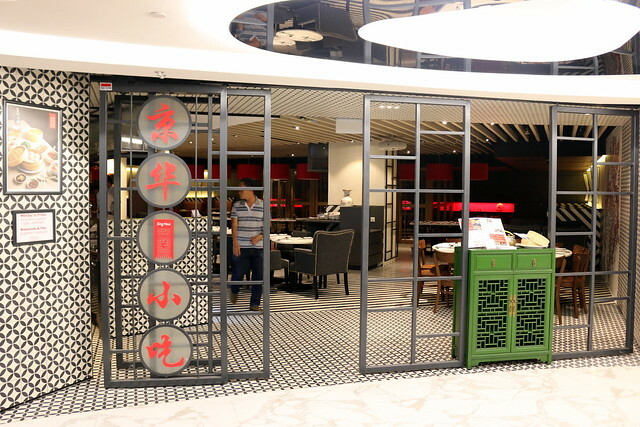 Jing Hua Xiao Chi is the third and more upscale branch of Jing Hua which began under Qun Zhong Eating House. They are renowned for their dumplings. The original no-frills shop at 21 Neil Road was set up by Singaporeans Mr and Mrs Han who are now in their 70s. Yes, a homegrown brand! I did a Makanation story on them and how they kept to the same small menu for over 25 years. 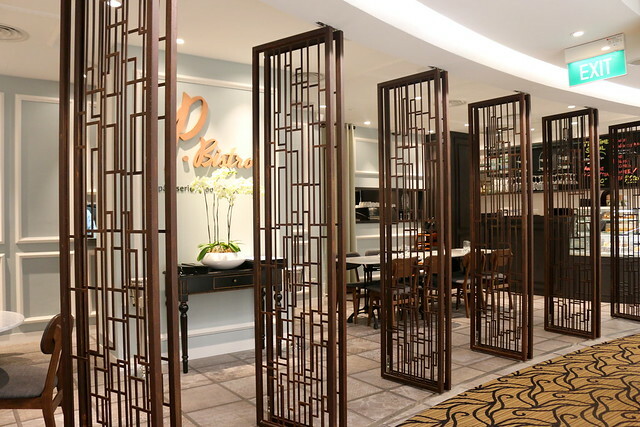 Their son Guo Guang has taken over the reins and looks set to reach out to a younger audience with an outlet at Bugis Village, and now Palais Renaissance. They've even gone international with three outlets in Japan - Ginza (Tokyo), Tsukuba (Ibaraki prefecture) and Hakuba (Nagano prefecture) - and one in Milan, Italy. Wow, this is no small feat for a local eatery and speaks volumes about their food! I'm glad they have kept things fairly affordable, and still focus on doing a small menu well. 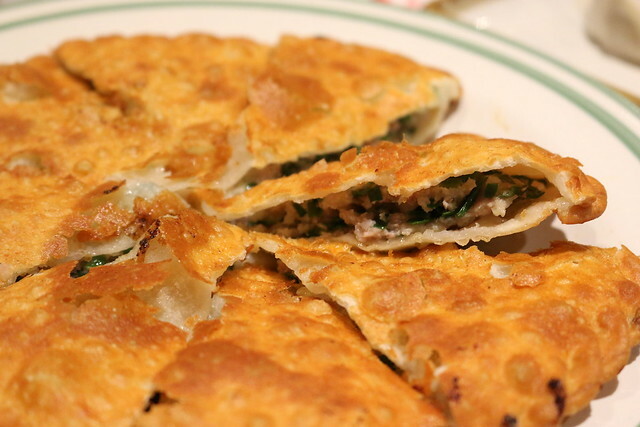 The Chinese Pizza (S$10.80) is the Han family's own creation, a crispy crust stuffed with mixed seafood and pork. I'd go straight for this for a tasty yet filling lunch. Their signature items are of course the Shanghai style dumplings. The Steamed Mixed Seafood and Pork Dumplings (S$5 for 4 pieces) are toothsome and moreish. 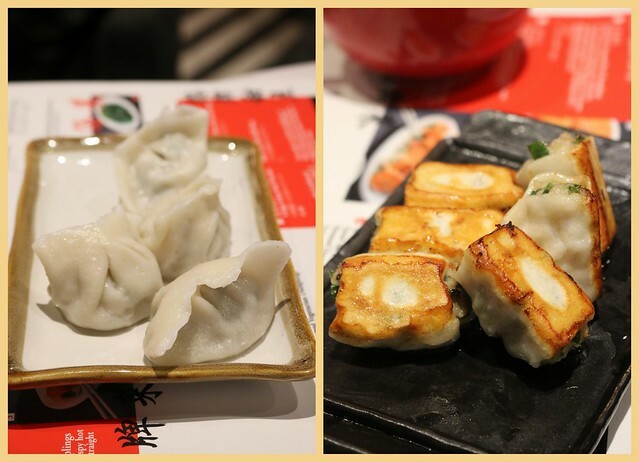 The Pan-fried Dumplings (S$6.50 for 6 pieces) are the crispy-bottomed versions great for those who prefer some crunch and caramelization. If you like Xiao Long Bao or "Little Juicy Steamed Meat Dumplings" (S$5 for four pieces), they have that here too. I had tried some at Neil Road, they were more than decent. 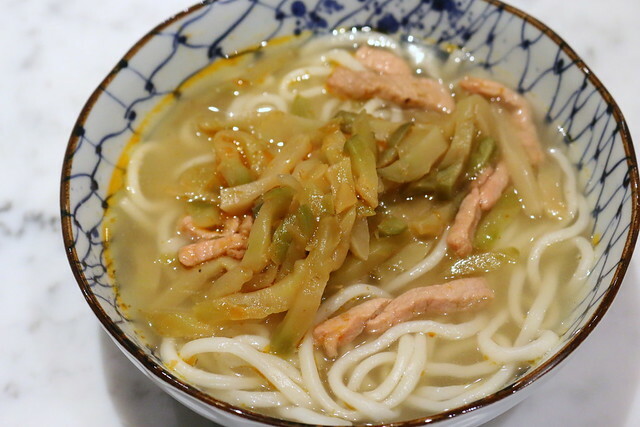 They do have noodle dishes, like this Zha Cai Rou Si Noodle (S$8) which are noodles with sliced pork and Sichuan vegetables in a light broth. It makes a nice neutral carb base for the meaty dumplings. 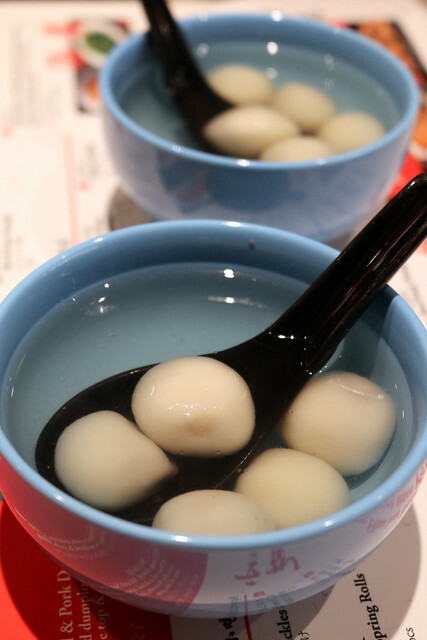 What you must not miss is the Sweet Osmanthus Flower Rice Ball Soup (S$4) which are the smoothest glutinous rice balls you will ever have. They are each differently filled with peanuts, red bean paste, lotus and walnut paste, and black sesame. This particular branch of Jing Hua is special because they have more drinks here to complement the "xiao chi" little snacks - from premium Pu'er tea to Chinese Shao Hsing wine, German beers to international whiskies and cognacs. You'll even find soda highballs and sweet potato based shochu. 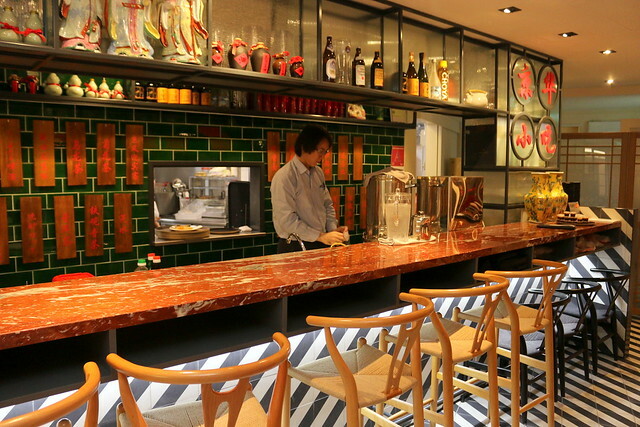 The full length 7m bar with a striking red marble countertop inspired by Mr Han's own traditional Chinese tea table. This is a great find! 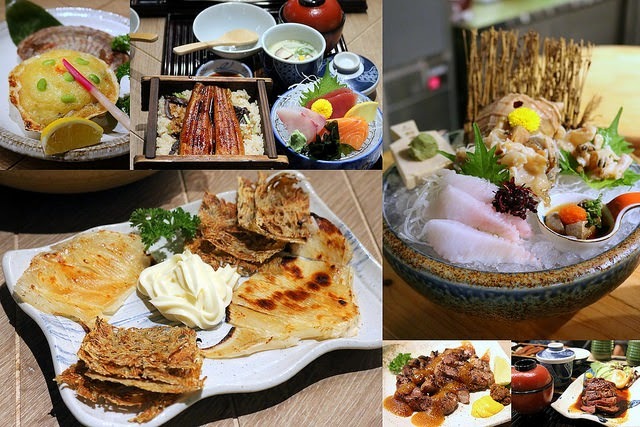 An izakaya/robatayaki offering quality food at surprisingly pleasant prices. The decor resembles a cosy fishing boat cabin, with raw wood and metal finishes. As befits the izakaya model, there are plenty of beer, sake and shochu choices to go with dishes. Ishinomaki is named after a rustic fishing village in the Miyagi prefecture that Mr Chi Pin Han and his wife Janice Chi visited on a mission trip when it was devastated during the tsunami of 2011. 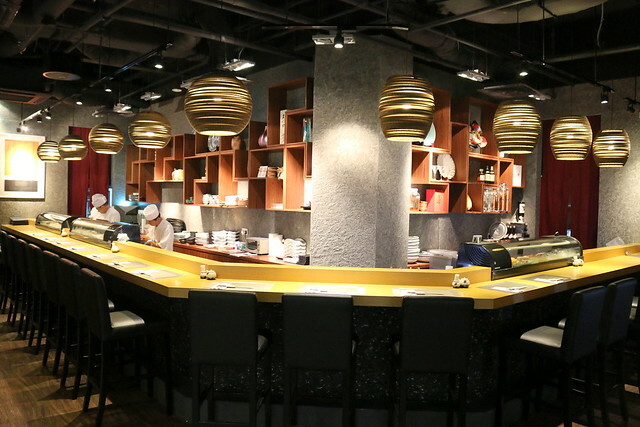 Mr Chi is formerly from Keyaki, and has had over 25 years experience preparing Japanese cuisine (especially kaiseki) but he decided to keep prices low when he started his own restaurant. 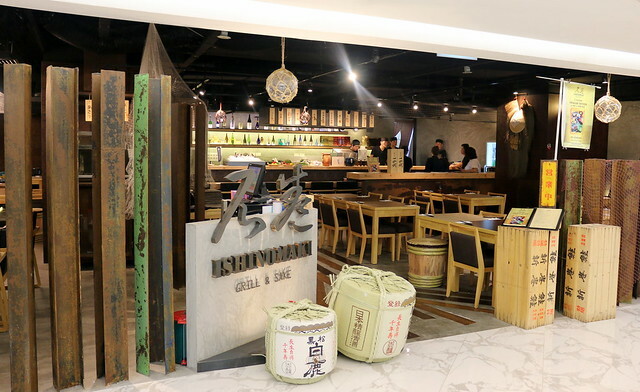 Set lunches start from S$17 and yakitori items are from S$3, seafood robatayaki from S$15 and the unagi jyu (premium grilled eel) only S$25. 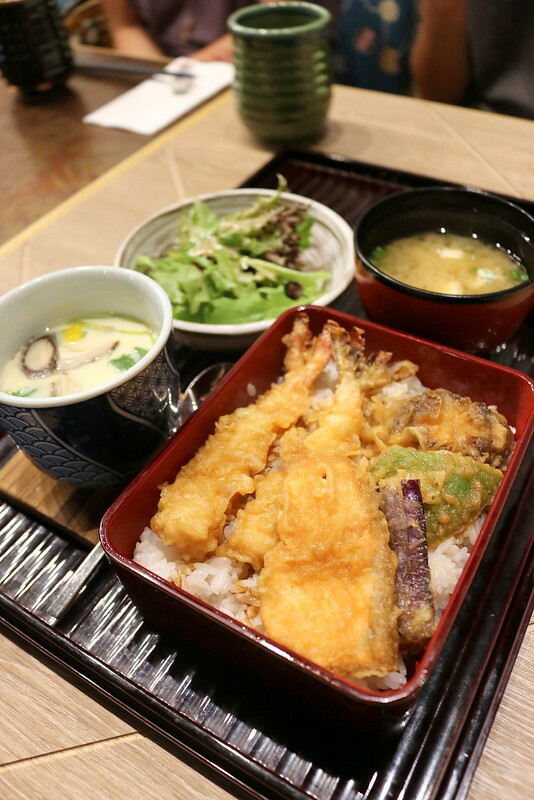 This is the Tenju Set Lunch (S$17), which is the most affordable one. It's mostly men who make a beeline for this tempura set. Ironically the hottest selling item is their most expensive teishoku set, the Sashimi & Unagi Seiro Ozen (S$32), a favourite with the ladies. 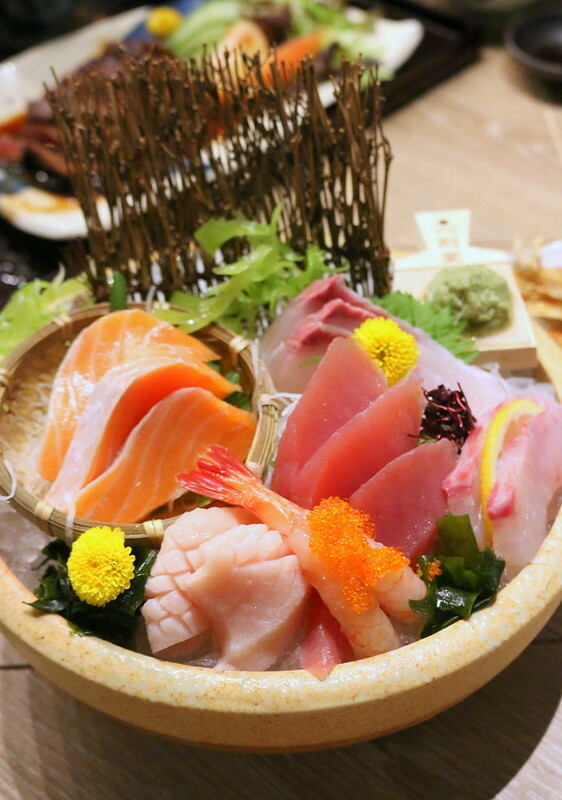 Speaking of sashimi, this stunning ensemble, the Assorted Sashimi Ishinomaki, is only S$35! This is the the basic set of six or more varieties of fish which may vary depending on what they get. They take three shipments a week at least from key fishing ports in Japan - Kyushu, Hokkaido and Tsukiji. A "black box" of mystery ingredients arrives every Tues and Fri, containing the freshest and best catch as picked out by trusted suppliers. So the chefs only get to know what ingredients to work with when they open the box the morning it comes. It takes great skill and knowledge of Japanese cuisine to translate those ingredients into palatable creations. For customers, this means every visit will never be the same, since the surprise ingredients keep changing. 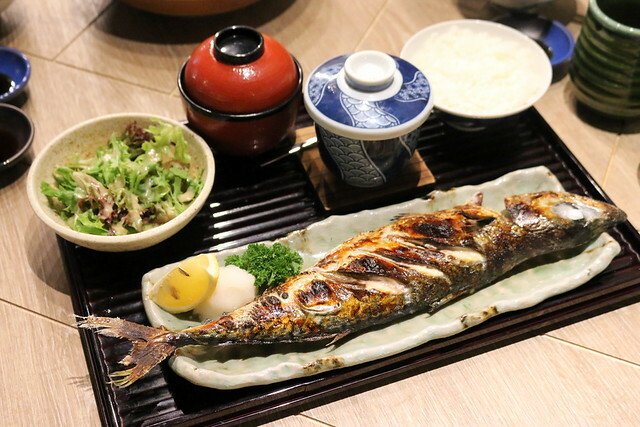 Take a look at this Ma Saba Shioyaki set at $25 only! What's unique is this is fresh Saba from Kyushu, wild caught! Saba is normally frozen and smaller in size. This is a huge mackerel; see how it dwarfs the salad and various bowls. Its flesh somehow seems more tender and sweet than the normal grilled saba. And from the many ingredients they get, sometimes there are rare surprises. Can you guess what this next fish is? Samekarei (pronounced"sah-meh-kah-reh", not "same curry") is a shark sole. This deep-sea sole has a rough and rocky textured skin like shark skin. And because it's a deep-sea fish, it's fatty unlike others in the sole and flounder family. It's from the cold waters off Hokkaido, and very rare to see! Costs a few hundred dollars per fish but you can enjoy 5 pieces for S$25. We were so privileged to try some. 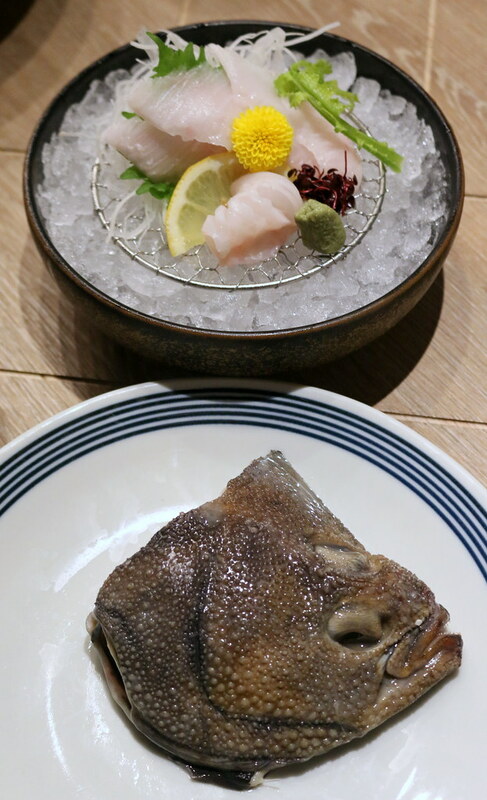 It tastes like a rich, buttery fugu. Sashimi & Unagi Seiro Ozen - the aforementioned bento set. It has Seiro rice, which is Japanese rice steamed with brown sauce. The unagi is also steamed on the rice, and the teriyaki sauce is housemade. Yaki Iberico Pork - grilled pork with homemade spicy Japanese paste. They also have Iberico pork and Mangalicia Pork Belly skewers (mmmh, can you tell I'm coming back?). The founder Mr Chi is truly a humble and friendly gentleman and you'll see him most often here at Ishinomaki, where he enjoys personally serving guests. Upstairs we have another Japanese restaurant, Ginzawa. This used to be Sushi Kuu, but they rebranded so as not to cause confusion with their Hong Kong branch of the same name. 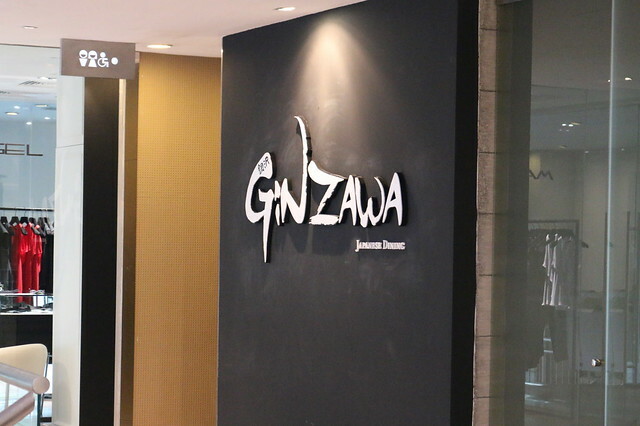 Ginzawa is also a little more contemporary in its decor and food offerings. It's a little more high-end, but the lunch set "don" (rice bowl sets) there can be good value for money. 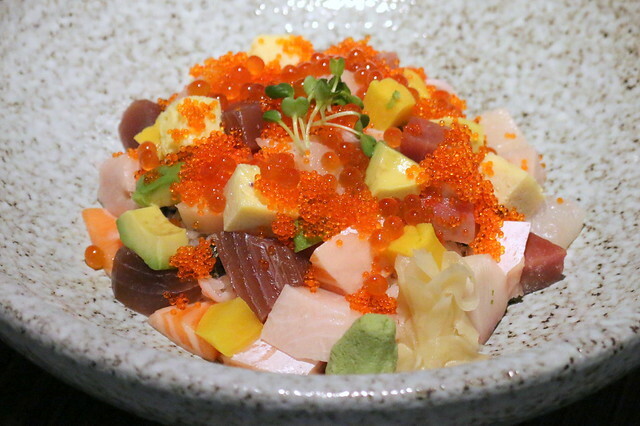 For example, the Tokusen Bara Chirashi Don (S$38) is a huge bowl of premium sashimi cubes on sushi rice. Well, as you can see, there's WAY more seafood than rice! 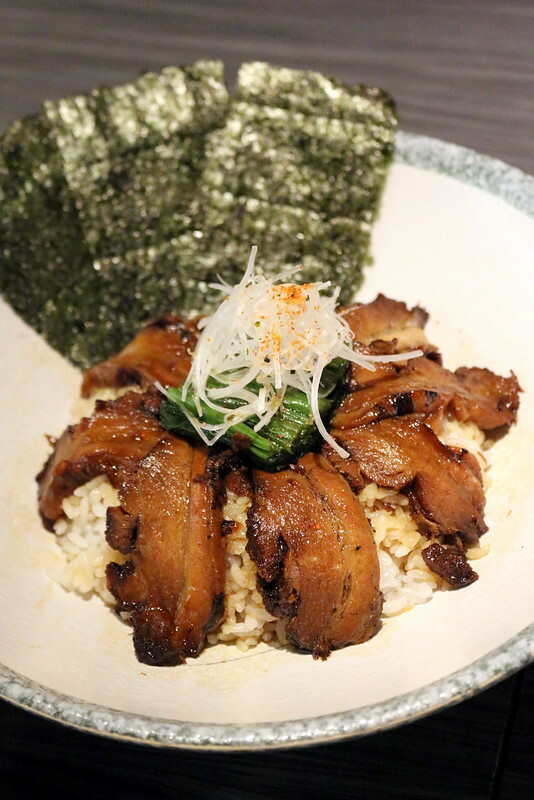 The Kuro Buta Zaku Don (S$35) is delicious slices of braised pork belly on rice. The black pork has been lovingly braised for eight hours! 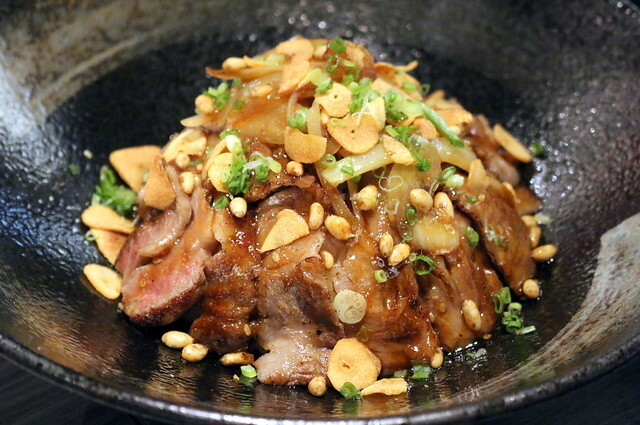 For a splurge, the Wagyu Don (S$50) is actually a steal for A5 grade Japanese wagyu grilled with onions and served on rice. It's deliciously topped with pine nuts, garlic chips and chives. 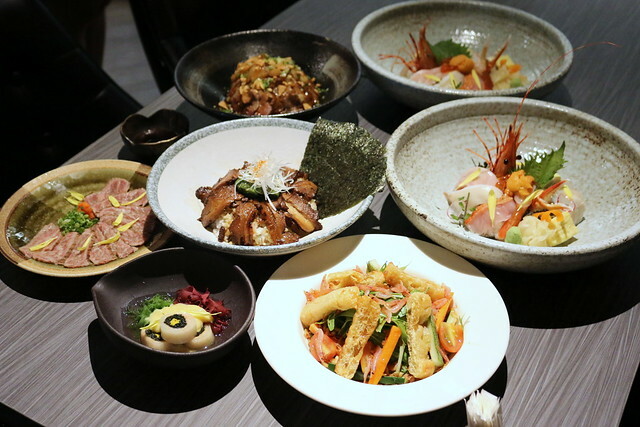 There are various other lunch set combinations (S$35-50) of tempura, sashimi, wagyu sukiyaki, gindara saikyoyaki, shake bata yaki (pan-fried salmon in butter sauce). There's also an extensive a la carte menu, and I would love to come back and try more stuff. P.S. Cafe is a beloved haunt of many well known personalities and afternoon tea lovers. It's been around since 1999 and needs little introduction. 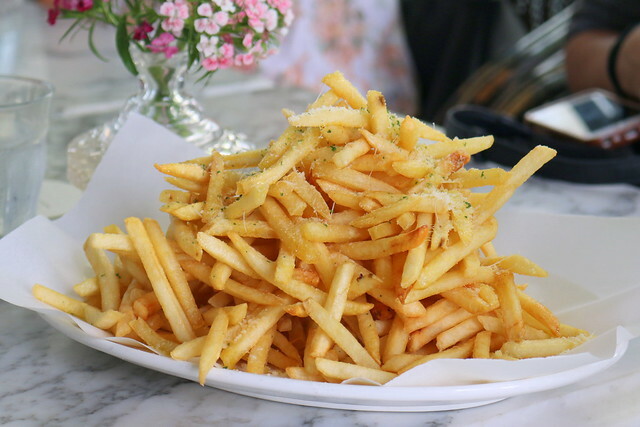 They are perhaps most famous for their Truffle Shoestring Fries (S$15) which comes in a mountain! Yes, I once came here just to eat this. 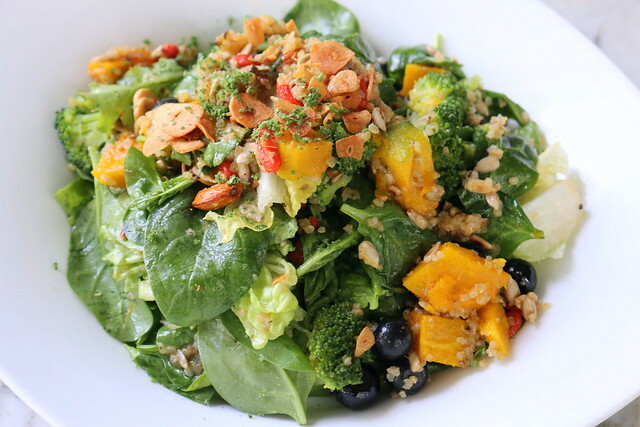 The Superfood Salad (S$26) is like a dream salad - blueberries, roasted almonds, sunflower seeds, goji berries, baked pumpkin, quinoa, broccoli, baby spinach and crisp romaine lettuce, tossed in an orange and rosemary dressing! It truly is an investment in your body and health. Indulge without guilt! They also have soup and sandwich combos. 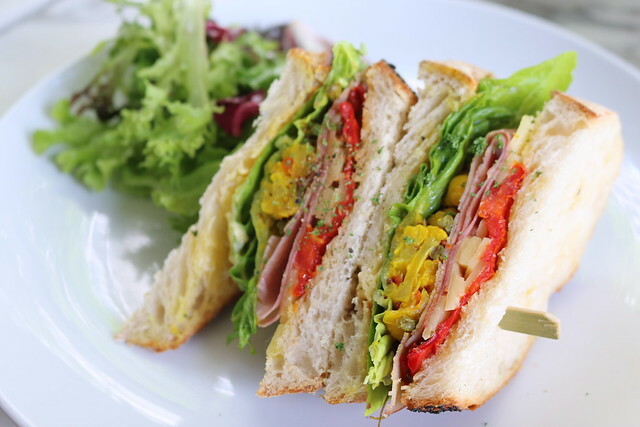 Here's the Ploughman's with Ardenne ham, vintage cheddar, and homemade pickle. You can choose from various homemade breads: crushed wheat & pumpkin seed (above); M's organic ciabatta; organic ash white; organic soy and linseed sourdough. The Caesar Salad (S$23) comes with poached egg, crispy smoked bacon, baby cos and baked croutons tossed in chef's dressing with freshly shaved parmesan. 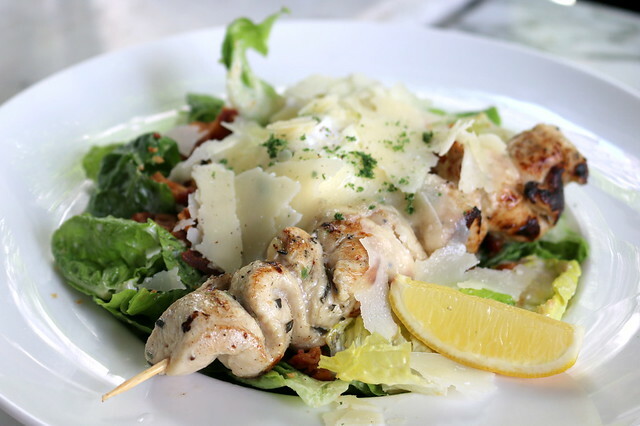 Add S$4 for rosemary-dijon chicken or S$6 for grilled prawns. It's seriously hearty. P.S. 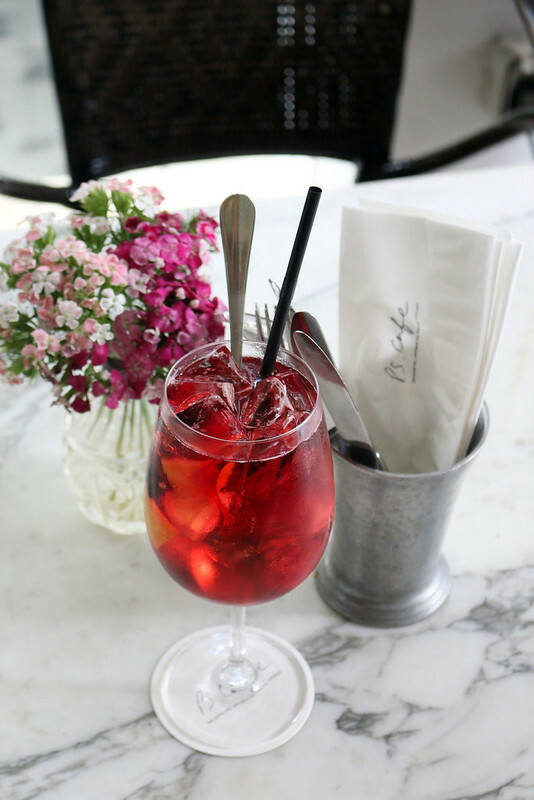 Cafe is noted for their sangrias, and this one tastes light enough for lunch! These are just some of the options available at Palais Renaissance. It's worth making a trip specially for some of these eateries, even if you don't shop at the mall.